Be emboldened to think big. Be empowered to make a statement. 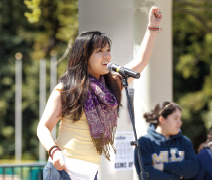 At Mills College, you’ll find the freedom and support you need to pursue your passions.You’ll be encouraged to ask questions and dig deep for answers. You’ll discover the power of your voice so you can speak up and make a difference for the ideals and people that matter to you. You’ll grow as a thinker and leader through activities on and off campus. When you graduate, you will join a global network of alumnae who establish nonprofits and businesses, shape policies and politics, and push the boundaries in the arts and sciences. To help as many students as possible have access to a life-changing education, we reduced our undergraduate tuition by 36% in 2018. Students continue to have the opportunity to receive merit scholarships and need-based aid, making Mills an affordable choice. 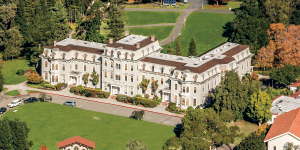 Our location in the heart of the San Francisco Bay Area enables students to connect with innovative employers in the arts, science, technology, and health care. Mills students find internships to support their studies and land great jobs after graduation.